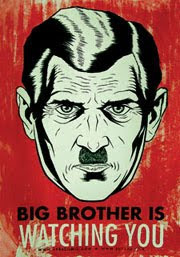 Anyone remember the great novel, “1984” by George Orwell? Written in 1949, he talks about the dangers of ‘newspeak’ and “Big Brother” with almost chilling relevance to today’s America, don’t you think? One word that has its roots in ‘1984’ should be ‘groupspeak”. ‘Groupspeak’ should be defined as the condition of a society when everyone has been so conditioned to think and say the same thing that no substantive dissent ever comes out of anyone’s mouth. And no, that is not a bumper sticker waiting to be printed up…unless you want to share the profits with us. Luca Pacioli, a monk who was a friend and collaborator of Leonard da Vinci (of course) established the modern rules for double-entry accounting in 1494. It is a very simple concept: Whatever amount of money that goes in the column on the left must be balanced by the entries somehow on the right. That is the way we need to think about anything regarding the federal budget from here on out. No more ‘entitlement’ programs; no more ‘trust funds’; no more discretionary jargon…just line up the programs we want to spend taxpayer dollars on, rank them 1-10,000 and pay for them on an annual basis without borrowing any more money from the Chinese or robbing our children’s piggybanks. We have had some interesting discussions recently with very thoughtful readers about entitlements, taxes and other things and have come to the conclusion that we are, in effect, living in the ‘1984’ world after all. For example, there is widespread intuitive acceptance of the notion that Medicare is somehow a true ‘health insurance plan’ and Social Security is some sort of retirement income plan with a ‘contract’, implied or not. Neither is true. There are no funds lying around in some ‘trust fund’ anywhere in the universe for Medicare and Social Security. Those funds, and then some, have been long spent by the time you even start to think about receiving anything from both programs. We have no ‘contract’ signed, sealed and delivered from one generation to the other. If we did have a 'signed contract', do you think the younger generation would have agreed to pick up all of this incredible debt we are loading up on them at the moment? We think not. We have a total ‘cash-in’/’cash-out’ form of government financing. Remember one of the basic principles of our representative democracy: “No Congress can bind the hands of a future Congress”. Thank God! If they could, we would still be operating under the terms and conditions laid out by the very first Congress in 1789, 110 different Congresses ago. A new Congress could come in during the election of 2010 and repeal every single law on the books with sufficient majorities. That is the way a true representative democracy works. Or we can re-elect everyone who seems to be doing such a great job lately and just let everything stay the same as it has been for the past 10 years. It is your choice. Anyway, start to re-arrange your brain synapses to think of our government taking in cash on one side of the ledger and spending it on the other on a daily basis, to the tune of over $7 billion…per day! The only real obligation we have is to be responsible in how we allocate those resources and, like the Good Monk Pacioli, balance our income with our spending each and every year. We can spend it all on Medicare or all on defense...but we can not continue to keep spending it on everything and borrowing from our children to do it. That is the cowards’ way out. Stony, awkward silence after each question. Remember: This was a meeting of Republican chiefs of staff in the majority in the U.S. Senate in 2003, not in some distant ancient Roman or Greek history! That was apparently the beginning of the end for any fiscal responsibility coming out of the Republican Party in the 21st century. And since neither of the two major parties has shown any indication of taking up the banner of fiscal responsibility and balanced budgets, it looks like the 30% of the voters in this great land who are now registered as Independent/Libertarian or Whig are taking this issue into their own hands and protesting loudly and often. Just please remember when you are in the majority in both the House and the Senate that spending on the right side of the ledger must be balanced with income on the left side with no more debt allowed. And lots of our problems will be solved.